At Carter Family Dentistry, father-son team, Drs. Stephen and Scott Carter provide comprehensive dental treatment to patients in Snellville, Grayson, Loganville, Lilburn, and Lawrenceville. We offer restorative, cosmetic, and surgical dental services designed to meet the needs of the entire family. Our goal is to assist each of our patients in achieving and maintaining optimal dental health and a beautiful smile. A healthy smile that lasts a lifetime is possible with consistent oral care and visits to our Snellville dental practice for routine cleanings and examinations. Carter Family Dentistry has been serving the community for over 30 years and, with our modern dental practice, is able to provide surgical procedures, such as wisdom teeth removal and dental implant placement to better provide comprehensive dental care. We offer state-of-the-art 3D cone beam CT dental scans that aid in detailed treatment planning for complex surgical and restorative cases. In addition to preventative and surgical procedures, we offer cosmetic dental treatment such as teeth whitening, tooth-colored fillings, and veneers to improve aesthetics. At our family owned dental practice, our dentists provide an array of procedures for the entire family, from children three and over to adults and seniors. Drs. Scott and Stephen Carter take the time to listen and understand your specific oral health concerns and goals that result in custom dental treatment plans that fit your needs. The dentists and staff at our Snellville dental practice are committed to providing our patients with the information they need to make informed decisions about their oral health needs. We understand that some patients find it extremely stressful to visit the dentist, which is why we provide sedation options during complex dental treatment, and for those who otherwise have low tolerance for dental procedures. Dr. Scott Carter is certified to provide IV sedation for patients in office. We look forward to providing comprehensive, preventive dental care to patients in Snellville, Grayson, Loganville, Lilburn, and Lawrenceville. 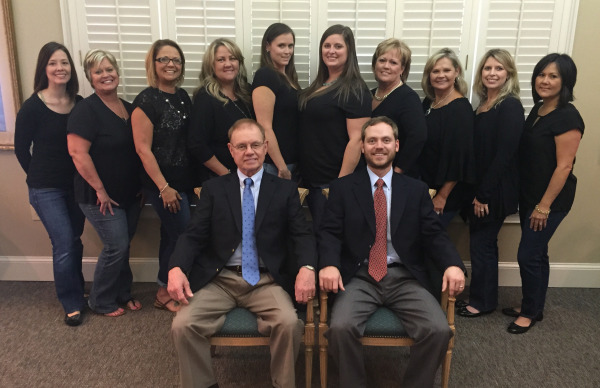 At Carter Family Dentistry, we treat you like family. For more information about our services, contact our family-owned dental practice today!